Rice grains boiled in banana leaves to make aromatic rice cakes that goes well with many savory dishes. It’s like eating rice in a cake form! 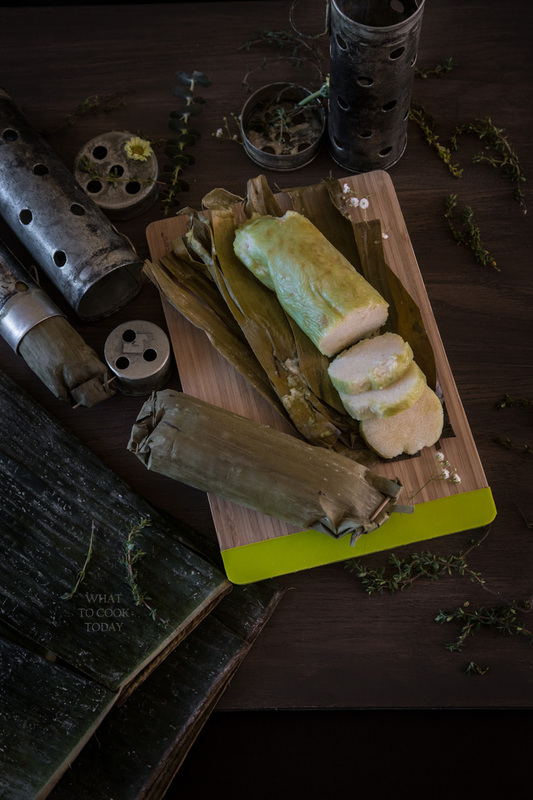 Lontong or loosely translated as Rice Cake is very popular in South East Asia especially Indonesia, Malaysia and Singapore. It is made of rice grains wrapped and cooked in banana leaves. 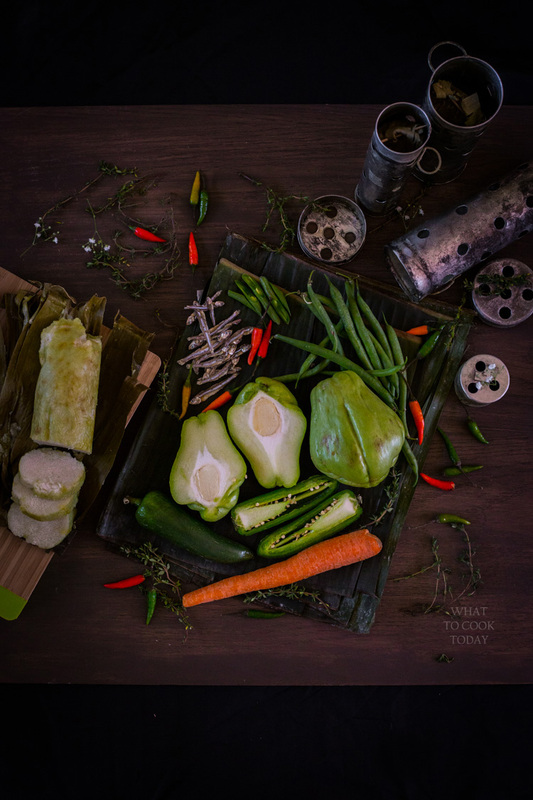 It is slightly greenish in color (color transferred from the banana leaves) and it goes with many dishes such as Satay Padang, Ketoprak, sometimes in Gado Gado, and my absolute favorite is lontong sayur. These are just to mention a few. As I took these photos, I cooked them with the lontong mould, but they are absolutely not necessary. In fact, I think it's easier without the mould. My mom told me that I had to cook the lontong in standing position but actually that's not necessary at all. The reason for cooking them standing up is to save more space. But most people don't have pot tall enough to have the lontong cooked in standing position. Cooking them in a "sleeping" position absolutely works too! © What To Cook Today. All images & content are copyright protected. Please do not use any of my images without my permission. If you want to share this recipe on your site, please re-write the recipe in your own words and link back to this post as original source. Thank you so very much. Now, I feel like I can make lontong anytime of the week without having to worry about not having a tall pot, or the mould ! Very nice looking lontongs you have there! I was making lontong with the moulds that I got from Indonesia for the Eid. I got the moulds from Bandung. they are pretty common to be used in Java area. I’ll show you the pic next time. We call this nasi impit and I love them with lontong (coconut vegetable curry) and sambal tumis. Usually I will buy the plastic pre-packed ones sold in supermarket in Malaysia (where I live). With your recipe, now I know how to make them with banana leaves. I believe yours would have a nice lingering frangrant from the banana leaves. For the best green colouring, we choose leaves of “Pisang Kluthuk / Pisang Batu ” for moulding the lontong. It also gives you more special natural herb taste to your lontong. For Satay Padang you will need Ketupat Padang. Is there anybody can tell me – how to make it ? I agree. I have to settle with the banana leaves I have here in the U.S. though. Frozen too ! I recently read in Reader’s Digest about Idul Fitri and I wanted to make Ketupat as a surprise for my helper (she’s Muslim). I didn’t know where to find palm leaves so I got banana leaves instead. I tried to make it like a palm leaf Ketupat by cutting the banana leaf in to strips and trying to weave them together. It’s my first time trying to make it so It was really hard for me to weave the casing and the banana leaves kept breaking. So I gave up and thought I’d just make Lotongs instead. But your recipe says to cook it for at least three hours and it’s quite late right now, so, oh well, I guess I’ll have to try another time. I am making Opor Telur tomorrow morning though (hopefully!). this recipe is totally wrong. 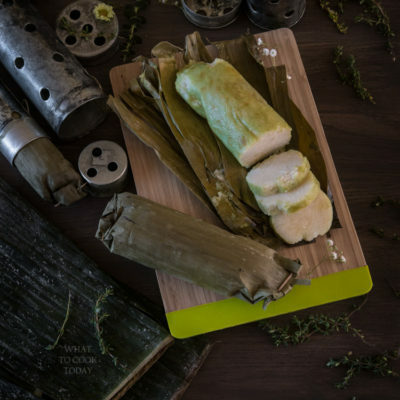 for lontong you take smooth cooked rice and fill the banana leaf with it and then cook it again. There are actually two ways I know of making lontong. One of them is like you mentioned, by using already precooked rice. The other one is using uncooked rice. My grandma and mom have been doing lontong using uncooked rice forever. The method you mentioned probably results in a shorter period of time. We’ve been making lontong using this method and that’s what I’m comfortable sharing. Cheers! Im wondering if 15 cm diameter isn’t a bit much? Anyways, I tried this yesterday and the rice came out of the banana leave molds while they were boiling. I think maybe less rice is needed. When you fill up the rice, you only fill up about half of the length of the mould because the rice, of course, expands as it cooks. I have to admit that the larger the diameter, it will take longer to cook too. You can definitely make it smaller, but how much you fill up the rice is usually half the length of the rolls. I hope that makes sense. Btw, Barbara, I just realized you said 15 cm in diameter! I don’t know what I was thinking, but yes that is definitely too large for the lontong. Sorry, it was my mistake typing the recipe. It should be about 8 cm max for diameter (about 3 inches). But how much you fill it up, half the length still stand. I have fixed the recipe. Sorry for the confusion!